An image posted to social media at the beginning of August shows Ukrainian troops atop a tracked 9K35 Strela-10 armoured fighting vehicle (AFV) (NATO reporting name: SA-13 Gopher), with two Soviet B-8 rocket pods fixed in an improvised turret arrangement. 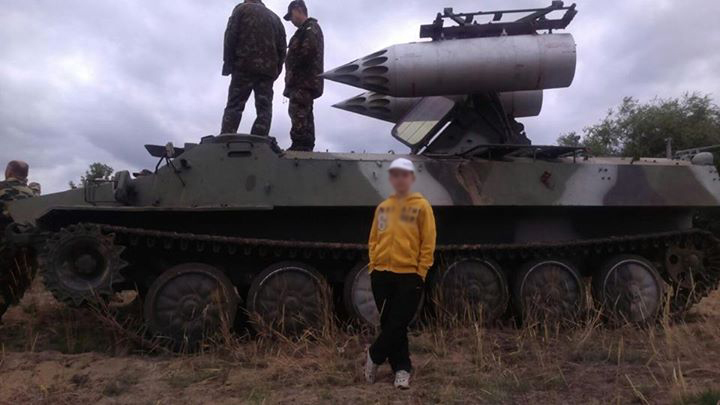 It appears Ukrainian forces have developed an improvised multiple-launch rocket system (MLRS) on the tracked vehicle. Typically launching 9M37 surface-to-air missiles, this vehicle has now been modified to fire S-8 series air-to-surface rockets, employed in a surface-to-surface role. The S-8 rocket, whilst not ideal for this role, may have some advantages in the current conflict. 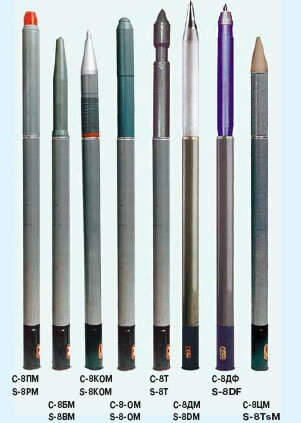 Designed for aircraft, the B-8 rocket pod holds twenty 80 mm S-8 rockets, with multiple warhead variants available (see image below), including the S-8KOM (HEAT-Frag) which were thought to be used in a Ukrainian Air Force strike in Lugansk in early June, 2014. Technical specifications for the S-8KOM are given below as a representation of capabilities of the S-8. The use of unguided, air-to-surface rockets in an improvised surface-to-surface role is not uncommon, and ARES has previously discussed the prevalence of smaller 57 mm S-5 rockets and their UB-16-57 and UB-32-57 rocket pods in land based warfare. The use of such systems in the Ukrainian conflict is not typical, with an abundance of larger calibre and generally more effective artillery systems readily available. The effectiveness of S-8 rockets, much like S-5 rockets, is likely to be low, due to a relatively weak payload and the low accuracy of improvised systems in general. The accuracy of these systems is further reduced when employed in an indirect fire support role; a common use of MLRS systems within the conflict. It is not immediately clear why this system has been developed. It has been suggested that this improvised use of 80 mm S-8 rockets could be an attempt to avoid violations of the Minsk Agreement’s restriction on artillery over 100 mm in calibre within the designated buffer zone, while still retaining a MLRS capability. Ukraine is also known to retain a large surplus of S-8 rockets, and this could factor into their use here. Special thanks to Jans Jansen and N.R. Jenzen-Jones. S-8 rocket image from Warfare.be.